How to use step and repeat wisely? 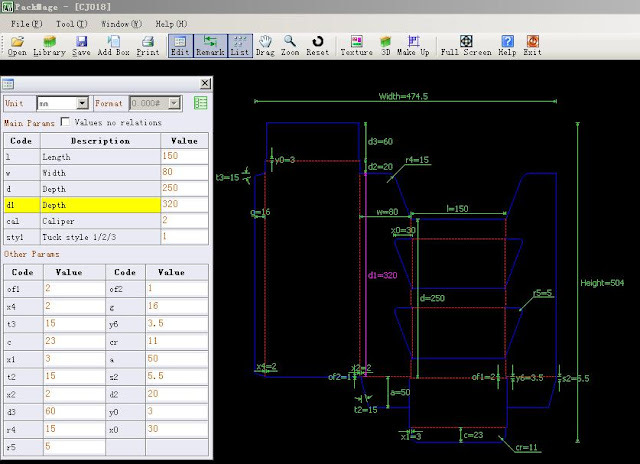 Packmage CAD’s step and repeat function is smart and optimized, but if there are more than one box type involving, this smart function cannot be used at this moment. Here’s a tip. It is a big order by the same customer. If you only use a structure design (left or right) , it will waste a lot of paper at the time of the final printing, The utilization of paper is not as good as these two structures used together. 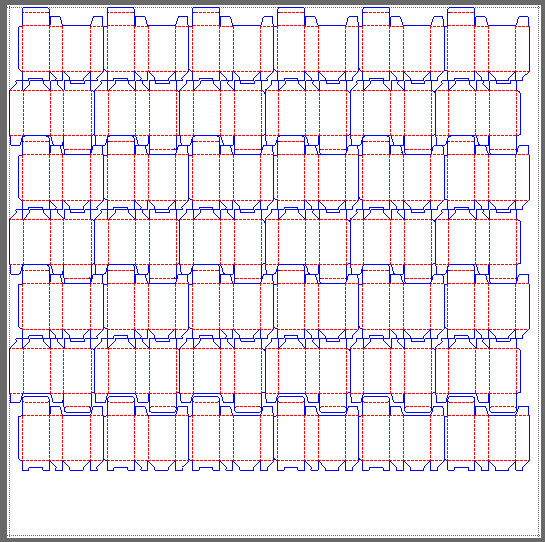 Although the smart step and repeat of Packmage CAD cannot implement multiple intelligent optimization, but it doesn’t matter, this can be done in array by manually. 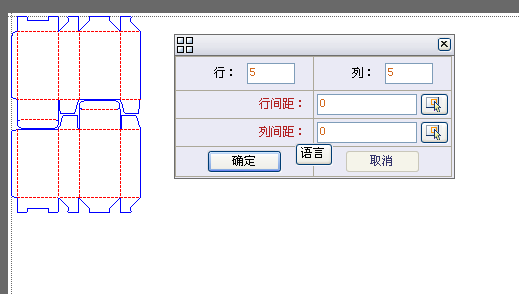 First, using the tools in the toolbar to put the two structures together. 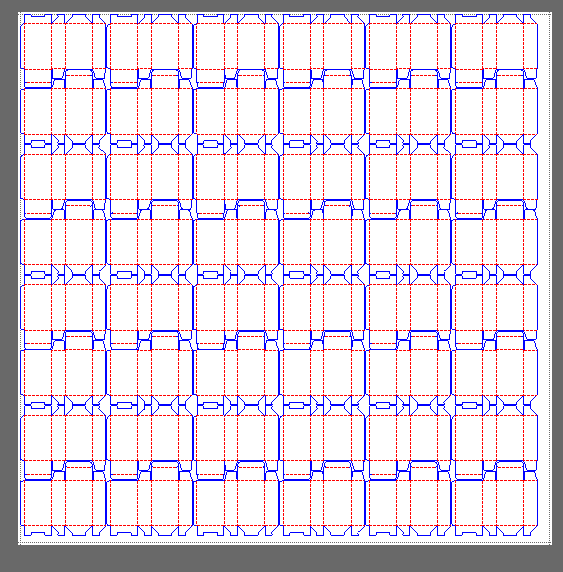 Just need to turn over the right structure as a whole, then move in together, is OK.
Second, click on the array：input rows and columns of the arrays. Then input column space and row space. How many will be stepped and repeated if we only use one structure design? 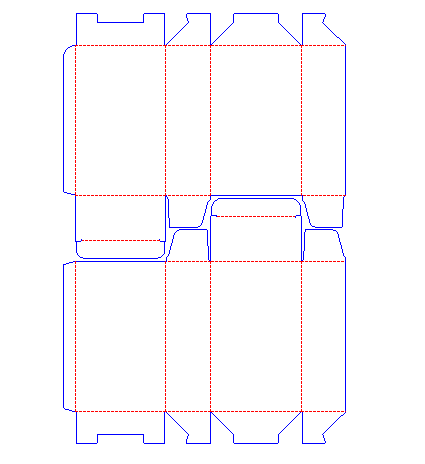 Obviously, the utilization rate of the paper improved by using two structure designs together.